Plain and simple, the demand on a plumbing system in a commercial building is much greater than residential. Maintenance is a priority to ensure no interruption of services to your clients. We have available maintenance programs designed to keep your facility running smoothly and efficiently, and at the same time not interfering with daily operations. 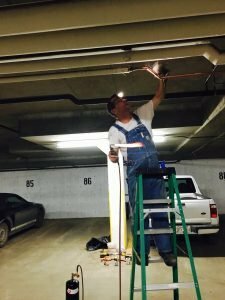 JW Brian Mechanical has years of experience installing and maintaining plumbing systems in the commercial and institutional sector. As always, safety is the number one priority, followed by customer satisfaction. We currently provide commercial plumbing services to several property management companies and restaurants in Edmonton. We pride ourselves on reliability for those 10 pm on a Friday night emergency calls. We consider our rates reasonable by any standard, and always welcome new clients. If you have a question or need a quote regarding our Commercial Plumbing services in Edmonton, please contact us!